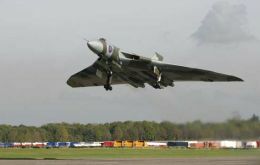 A former Royal Air Force Vulcan bomber has made her first flight in 14 years after a restoration project said to be probably one of the longest and costliest in the history of British aviation. 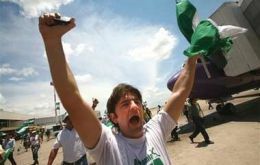 Thousands of Bolivians have taken control of the country's busiest airport as part of an ongoing power struggle between President Evo Morales and authorities in the region of Santa Cruz. 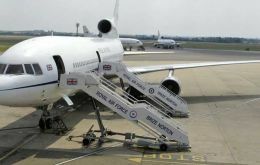 New and improved airbridge? Government pushes for a service which aids economic growth; Nordnorge leads the way; Badminton team go for it in Greenland; Come on England! 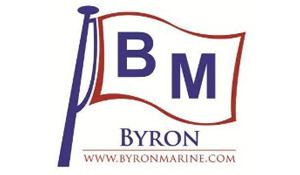 ; Today's listings &ndash; today. 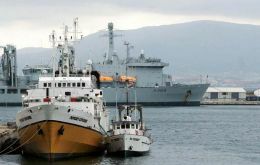 Spain's detention of the treasure-hunting ship Odyssey Explorer on Tuesday has prompted a diplomatic exchange between London and Madrid over the status of waters around Gibraltar. 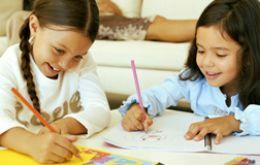 Most countries in Latin American and the Caribbean have achieved almost universal primary school coverage and boosted enrollment rates in secondary and tertiary education. Average spending on education reached 4.3% of GDP in 2003, up from 2.7% in 1990 reveals a World Bank, (WB) report released this week. 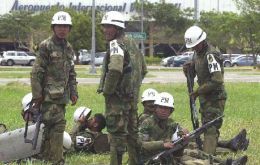 Bolivian soldiers and police took control of the country's most important airport Thursday after airport workers detained an American Airlines plane on the runway, demanding the carrier pay them landing fees in cash. 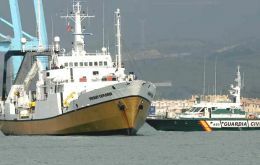 'Odyssey Explorer', the flag ship of the treasure hunting sea archaeologists Odyssey Marine Exploration (OME), has been arrested along with its captain by the Spanish authorities following a dramatic gunpoint encounter at sea three miles south of Gibraltar. Migrant workers sent home more than 300 billion US dollars to their families in developing countries in 2006, according to a study released Wednesday in Washington, D.C. by the International Fund for Agricultural Development (IFAD) and the Inter-American Development Bank (IDB). With less than two weeks before Argentina's presidential election the positive image of President Nestor Kirchner is at its lowest since taking office in May 2003, which is not necessarily good news for the incumbent candidate and First Lady, Senator Cristina Fernandez de Kirchner. Costa Rica and Croatia were elected on Tuesday to the United Nations Security Council for 2008-09 after their respective rivals, the Dominican Republic and the Czech Republic pulled out after two rounds of voting.